These are a staple item for many brides. A simple yet classic design that functions perfectly for ceremonies and receptions alike. These chairs are featured in our White Swan Ceremony Package but are now available for you to use throughout your reception. 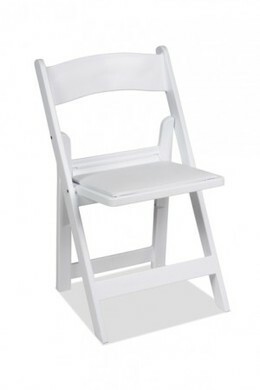 Please note: These chairs are not available for self-pick up at this time, however, can be delivered for DIY events.